Dr. Ali Behzadi, DMD is a member of the Florida Academy of Cosmetic Dentistry. He enjoys nothing more than seeing a patient who was self-conscious smile with confidence once again. Thanks to modern technology, a smile makeover can often be completed in a few visits. Some fixes to the smile can be accomplished in just one visit! 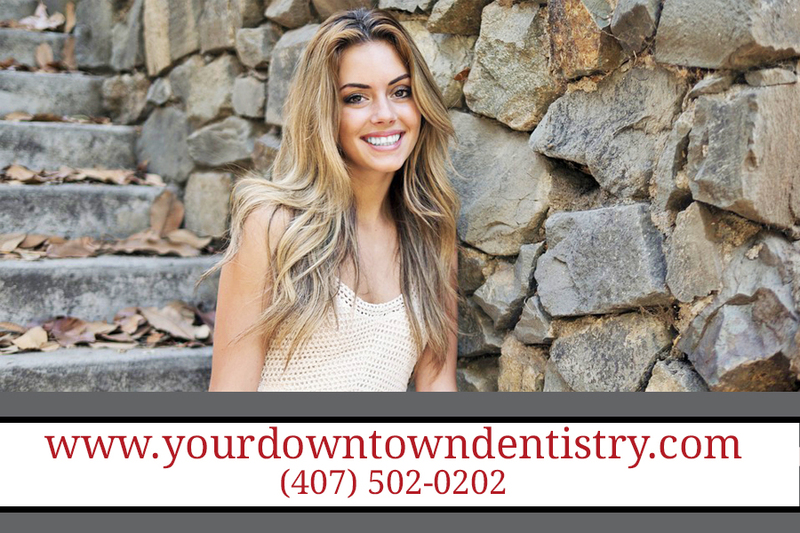 Dr. Behzadi and Your Downtown Dentistry’s other dentists have many tools at their disposal to give patients lasting and gentle cosmetic solutions that also fit their schedule and budget. Most importantly, they can give a patient confidence in their smile. The first step in any cosmetic procedure is to do a full examination of your teeth and mouth and then review with you the different options to give you a beautiful smile. Many cosmetic procedures can be done without cutting or with minimal preparation — and affordably, and yet make a tremendous difference to your smile. To make an appointment, (407) 502-0202 or visit our site and click the appointment button today!